Love Ultra Radio spoke with artist, creator “XRS” XRSspellsChris. Find out how XRS name was born, what instruments he played and his influences of music. Press play to learn the elements that inspired the lyrics of his song “Hold On 2 Luv”, about his upcoming project “The Love Crusader” and the component that inspires his art forms. 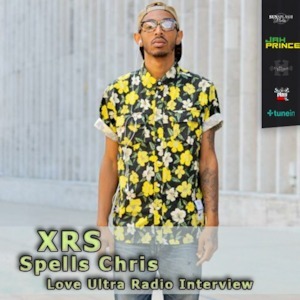 Learn what one of XRSspellsChris’s biggest fear is, advice he shares to other artists and what his song “Tell Her” is about. Follow him XRSspellsChris and don’t miss what he loves ultra.